MASH's David Ogden Stiers Dies At Age 75 - Joe.My.God. 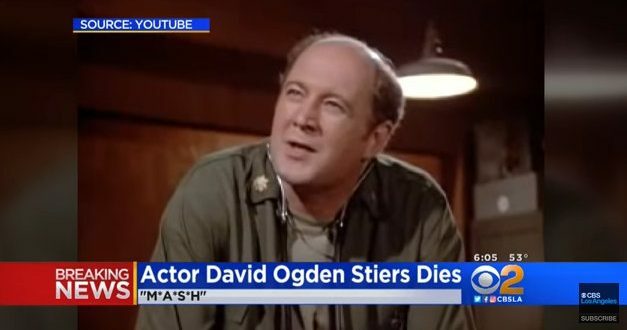 David Ogden Stiers, best known for his role as the arrogant surgeon Major Charles Emerson Winchester III on “MASH,” died Saturday. He was 75. His agent, Mitchell K. Stubbs, tweeted that he died of bladder cancer at his home in Newport, Ore.